It is normal to be confused about your rights and obligations when you are pulled over by the police. You may have heard conflicting information about what you should or should not do; you may be stressed at the encounter with the officer; you may be unsure of what the law in Ohio is. 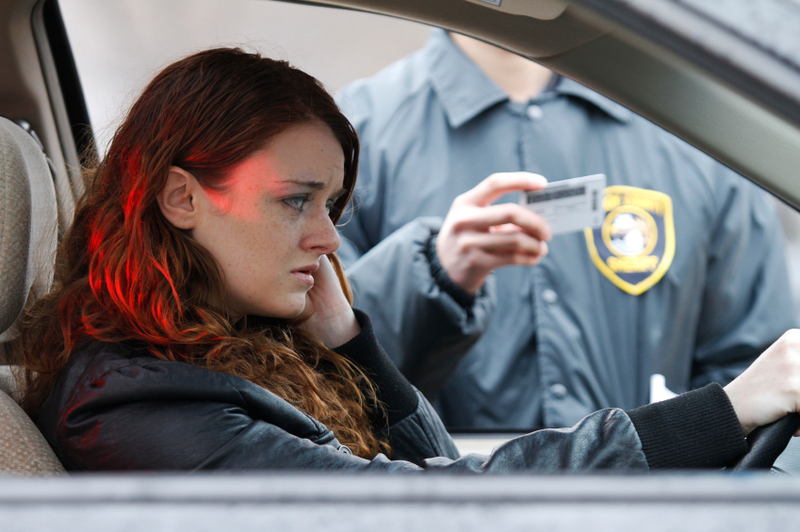 We hope this page will educate you on your rights and responsibilities under Ohio law when you are pulled over. If you have already been charged with a DUI, call experienced Columbus DUI attorney Peter Binning today for your free consultation where we will discuss your situation without obligation. When the police have pulled you over, you are under their control, but this does not mean you are under arrest. At this point, you are only required to provide your driver’s license, proof of insurance, and vehicle registration. You should also provide your current address if it is not already listed on your license. You do not need to provide the police with any other information. It is common for the police to start a line of questioning—asking where you are coming from, where you are going, what your earlier activities were, etc.—as a sort of preliminary investigation. These questions may seem innocent enough, but giving the cops more information could only give them more reason to detain you. Of course, the longer you are detained, the greater your chances of being arrested. Police officers have been trained to “look beyond the stop.” This means that they are looking for evidence of other illegal activity beyond the reason for which they stopped you. Generally, there are three things an officer is looking for when he/she pulls you over: signs you have been drinking, signs you are transporting drugs or drug money, and signs that you may be hiding something. Again, there is no reason for you to answer these investigative questions and you are under no legal obligation to do so. Answering these questions will give the judge in your court case reason to assume that you entered into this conversation voluntarily meaning you wanted to provide incriminating information to the police. Your rights are affected differently depending on whether you are being detained, being arrested, or conversing of your own free will. Just as you can start a conversation with any stranger you meet at Walmart, the police can begin a conversation with anyone they choose. The officer, however, has a badge representing the full force of the law. Our culture has instilled in us the desire to cooperate with the police; sometimes the reason we cooperate is just to not look guilty. But this reasoning can actually do the opposite, by giving the police more evidence that will be used against you in court. This does not mean that you should be rude. There is a strong chance that you are being recorded from the time you were pulled over until you were released or sent to jail. Please be aware this often includes the time you are by yourself in the back of the cruiser. These video- and audio-recordings will probably be shown in court, and juries do not react favorably to people who are rude to the police. Any one of these factors can give the police a reasonable suspicion that you have been drinking. This can lead to the administration of the field sobriety tests. The officer will consider this against any other observations she has made and may decide to arrest you on the spot. We hope that this information has been helpful in determining what you should do when you are pulled over by the police. If you are currently facing DUI charges, please call Peter Binning, an experienced Columbus DUI attorney for your free consultation.